Order Desk can be configured to automatically send shipment and tracking information to your customers when their packages have been shipped. 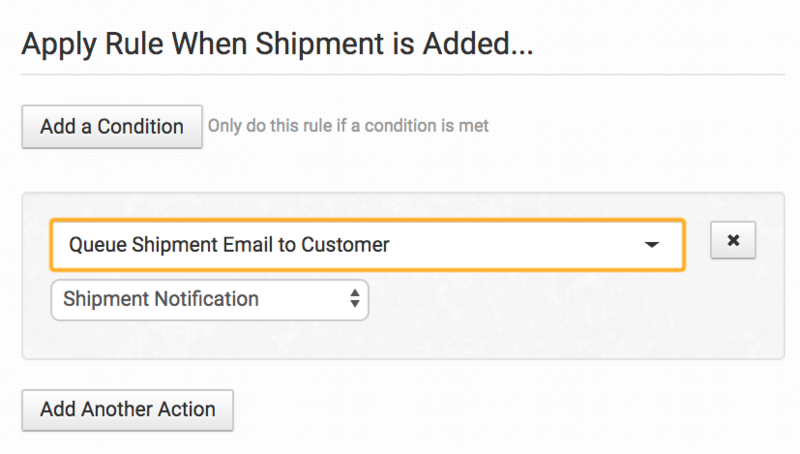 In order to take advantage of this feature you will need to create an email template and then set up a rule that will automatically email your customer whenever a shipment is added to an order. Follow the instructions in this guide to set this up in your store. To send shipment and tracking notifications to your customers, you first need to create the email template that will be used for these emails. 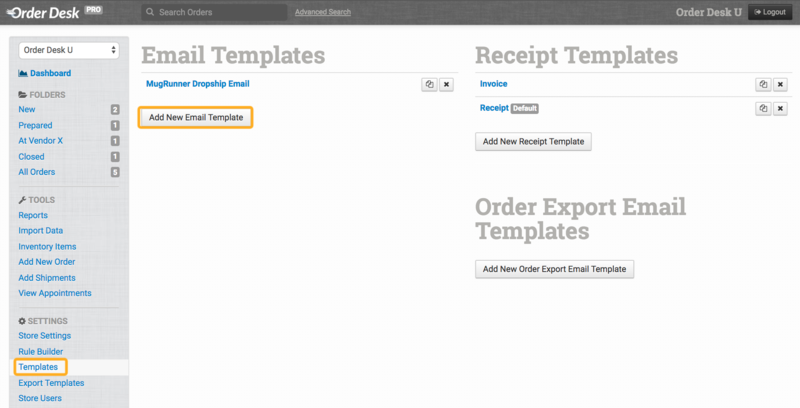 To do this, click on Templates under the Settings menu in the left sidebar, then click to Add New Email Template. 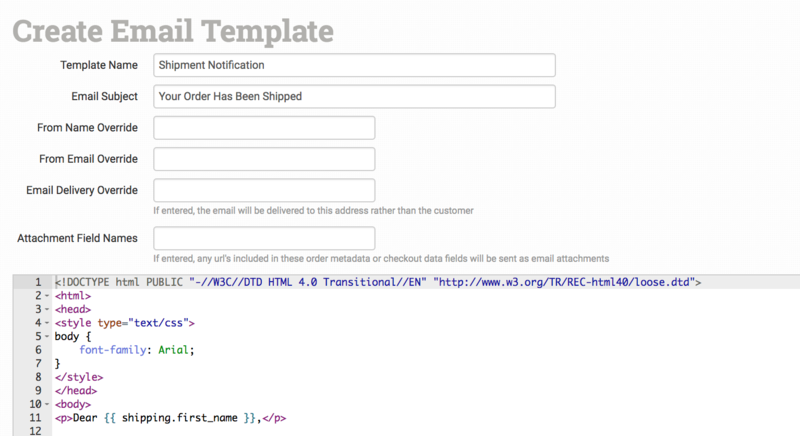 You can use the default template or make any changes if you want to personalize the email. For a detailed explanation of each field, see the working with email templates guide. 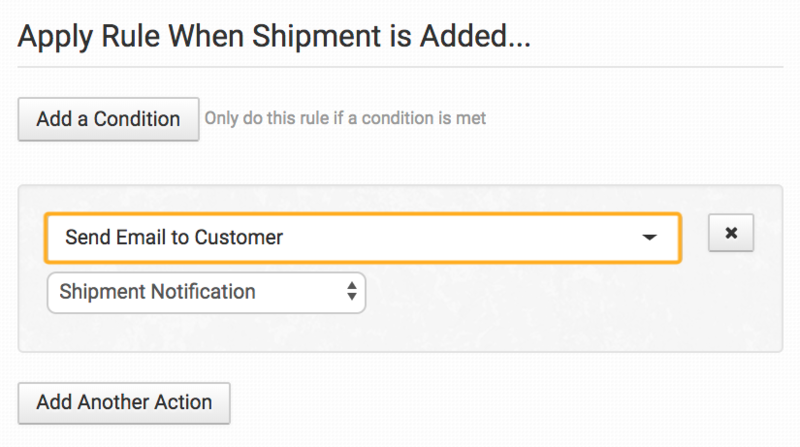 Now that your template is created, you will need to create a rule that will automatically send the email when shipment is added to an order. If you are unfamiliar with the rule builder, see this guide for more information. 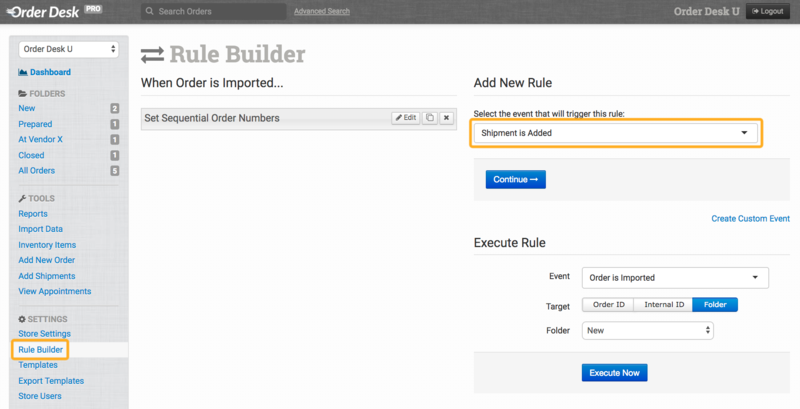 To create your rule, click on Rule Builder from the Settings menu in the left sidebar, and under the Add New Rule section, select the event Shipment is Added and click Continue. In the Select Action dropdown, choose Send Email to Customer and, if you have more than one email template, select your shipment notification template from the list. Name and add your rule. Now, when shipment is added to an order, Order Desk will email this template to your customer to let them know the tracking details. Instead of sending the email immediately, this will queue up the emails for up to 6 hours. Six hours after the first shipment was added to the order, the email will send with any other shipments that have also been added during that time. If you would like to send the shipment info to a specific URL, Order Desk can create a built-in webhook for you. To do this, set the URL to the order metadata as ship_notify_url with a rule. Order Desk will send the shipment details to this URL when they are added to the order. The following info is what will be included with the shipment details.